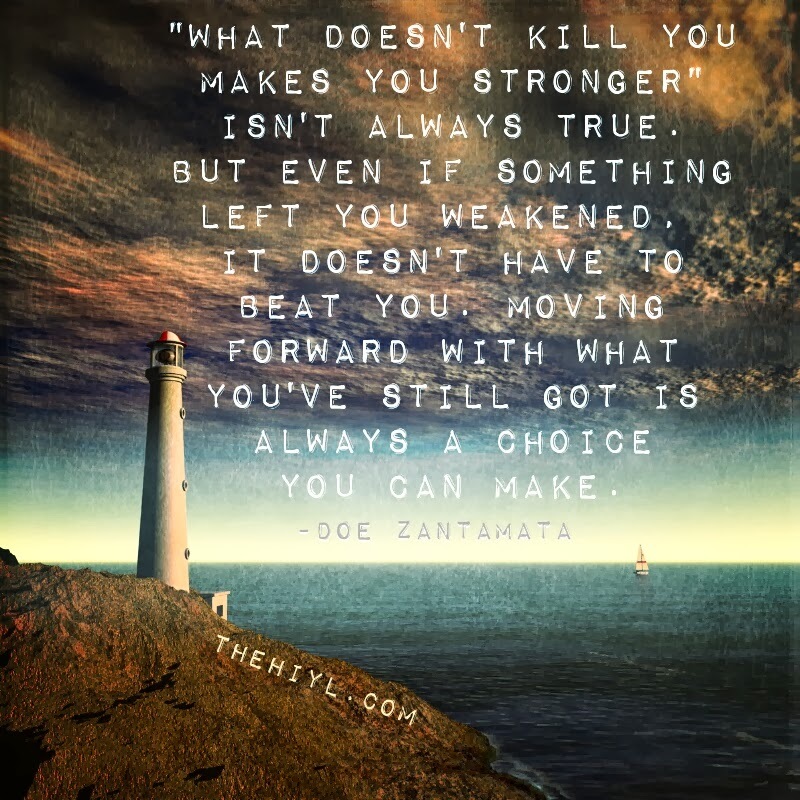 "What doesn't kill you makes you stronger" isn't always true. But even if something left you weakened, it doesn't have to beat you. Moving forward with what you've still got is always a choice you can make.